To continue our round table blog series, we shed light from the technical side of dentistry’s role in the opioid epidemic. This time, we sat down with Jason Wolan, Director of EHR Implementation at Great Expressions Dental Centers. How does your organization view the opioid epidemic as well as your dentists’ role in this crisis? Great Expressions Dental Centers recognizes an opioid epidemic in this country driven largely by what has historically been a very lax approach to responsible prescribing. Today a lack of commitment by major stakeholders to take hard stances on better regulating the manufacturing and supply of these drugs continues to fuel the fire. In many cases, exploration of alternative pain management therapies and more rigid prescribing protocols that mitigate excess supply and drive more frequent doctor-patient interaction for those on long-term pain management therapies would likely result in major strides to not only reduce excess supply, but reduce unnecessary consumption as well. As a leading DSO and supplier of these medications, it is our job in the dental industry to lead by example and set progressive prescribing protocols that focus on responsible pain management therapies reinforced by firm controls and processes that deter abuse. Are you having internal conversations about how your organization can curb the use of opioids or dispense trends? Internally, our transition to an electronic prescribing platform has really been the catalyst for all of this primarily allowing us to gain insight into the prescribing habits of our providers. Prior to prescribing electronically, we relied heavily on spotty computerized provider order entry (CPOE) and “good faith” prescribing based on paper prescriptions being written with little or no audit trail. Today, we are phasing out paper prescribing with an ultimate goal of reporting on prescribing habits, particularly as they relate to opioid prescribing, allowing us better insight into drug-volume and drug-frequency combinations that may raise red flags. How do you think e-Prescribing assists in efforts to curb opioid prescribing habits? First and foremost, e-Prescribing, as is the case with most transitions to electronic mediums, will allow for better organizational oversight which will likely cause an industry shift as providers begin to recognize the results of increased transparency. Access to this aggregated data will create an unprecedented level of ad-hoc and scheduled reporting of prescribing habits with the ability to begin to profile behaviors and automatically intervene as necessary. In the past, while prescribing could be tracked, much of the data was burdensome and time consuming to compile, but as electronic prescribing platforms and the industry standards have become so available, the ease with which most organizations can monitor and proactively engage providers today should be a major driving force in deterring abusive prescribing. Reinforcing the latter will come with a societal transformation of less tolerance for prescriber supported prescription drug abuse and the increased media coverage, both at the state and federal level, prosecuting the offending prescribers. Do you have access to data that you currently, or plan to, utilize in regards to proving how your practices are focused on responsibly prescribing these substances? Great Expressions Dental Centers is currently generating weekly reports of prescribing focused on drug-volume/drug-frequency combinations. While the organization has not completely transitioned to electronic prescribing, we have significantly reduced access to paper prescribing and expect to see the true value of electronic prescribing when we are able to profile our organizational prescribing practices in its entirety. Are there any policies in place, or may be in the future, regarding how many pills should be dispensed per controlled substance? As a DSO, our clinical operations, policies, and procedures, and guidelines are all set by our Chief Clinical Officer. A consistent patient experience defined by responsible care coordination for all Great Expressions Dental Center’s patients is the cornerstone of the brand we have established. A large part of that includes driving responsible practicing techniques and ensuring that our patients’ interests are front and foremost, this of course includes responsible prescribing to mitigate the risks associated with opioid prescribing and has existed prior to our engagement with electronic prescribing. In the future, we hope to leverage the platform further in this regard. To listen to the full round table, download your copy here. Some responses have been slightly edited for clarity and length. As the opioid epidemic continues to grow across the nation, DoseSpot recently sat down with Key Opinion Leaders from Dental Support Organizations (DSOs) to discuss how their organization is implementing best practices to decrease opioid overdose deaths and increase patient safety, as well as their viewpoint on what dentistry’s role is during this crisis. For part I of our blog series, our focus is on the clinical element of dentistry’s role in the opioid epidemic with Dr. John Zweig, Chief Dental Officer of Dental Associates. Dental Associates is keenly aware of the problem with opioids and we take a very deliberate role in managing patients’ pain appropriately with the minimum required medication. Educating patients and matching pain relief management with the present dental problem is very important. Do you provide your dentists education, training, or resources regarding controlled substances? Continually, Dental Associates has educated its providers on appropriate pain control measures and the use of controlled drugs. The challenge remains with patients whom insist on strong medications and working with them to minimize the prescriptions and the type of drugs used. More patient education is required, and our use of patient prescription histories is becoming more widely used to discover how to explain the minimum amount of medication used. Within your dental practices, how do you communicate the important relationship between dentists and controlled substances? Within our provider education, orientation and our monitoring of prescriptions, we continue to provide feedback to minimize prescriptions for controlled drugs both in type and quantity of medication provided. It actually reduces fraud; it ensures that we are writing the prescriptions the way we want them to be and that they get to the right people. Electronic prescriptions allows us to monitor this because potentially we may have a provider who is unknowingly or unwittingly giving out large amounts of drugs and we can have a conversation with them, potentially educate them, or make them aware of the situation. This isn’t about a “gotcha game,” it’s about educating providers on best practices. How do you handle/communicate with patients that may have a substance abuse issue? Well, many times, first, we use the Wisconsin prescription drug monitoring program (PDMP). That has been in existence and the state has been encouraging us to use it. When using it, we find that many of the patients we’re concerned about are in pain management programs and so we refer them back to their pain managers to resolve their pain needs, so we’re not making it too complicated. For those not in a pain management program, we communicate the facts on their known prescriptions and advise them that we may be unable to prescribe more. We discover with that information, the push-back is minimal. Anything else you think would be relevant in addressing dentistry’s role in curbing this epidemic? The issue is a big problem, but I still think it requires education for patients and also the providers, because people have the expectation to reduce demand for pain medication. We need to educate the doctors on best practices with medications that are not controlled substances. We need to monitor and educate everyone. Stay tuned for Part II: DSOs’ technical insight into dentistry’s role in the opioid epidemic. 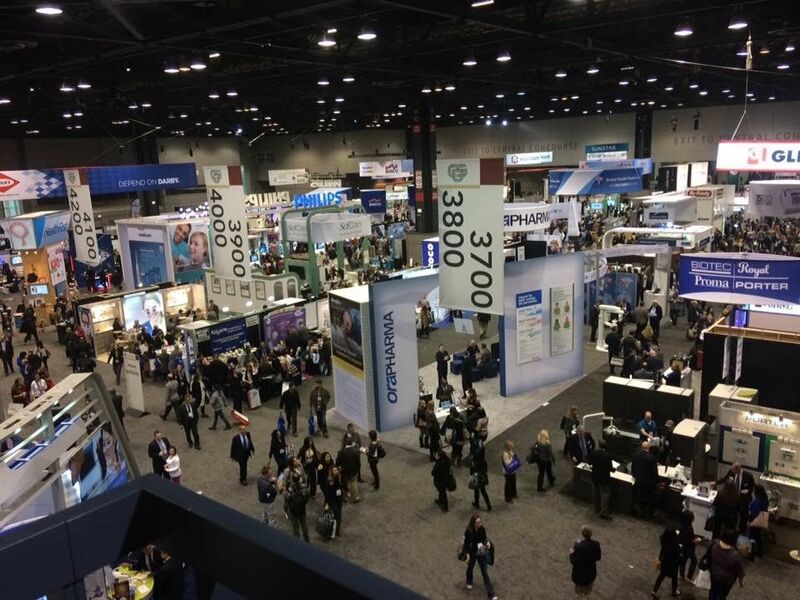 On February 23-24, 2017, I had the privilege of visiting the Windy City to attend the 152nd Chicago Dental Society (CDS) Midwinter Meeting. With the show theme of “leadership”, the bustling event attracted more than 28,000 attendees and the agenda was full of influential speakers, enticing exhibits, insightful lectures, and networking opportunities. The conference kicked off with a bang on Thursday to a packed exhibit hall featuring more than 6,000 exhibitors comprised of 500+ booths. The opening session that evening was led by John F. McDonough, President and CEO of the Chicago Blackhawks. Through his speech he discussed leadership and its direct correlation to success. Something that really resonated with me was when he said, “In sports it’s hard to win, really hard to win. So much more goes in to it than just talent.” In retrospect, I think this thought applies to much more than sports, but also in industry. It takes a lot more than just talent, or a great product, or great service to be a leader in your industry, be that in dental practice management solutions, running a dental practice, or in e-Prescribing. Dr. K. William ‘Buddy’ Mopper was presented the Gordon J. Christensen Lecturer Recognition Award as an acknowledgement of his contributions to the dental profession in the area of conservation dentistry which places a value on conserving teeth opposed to extraction and implants. 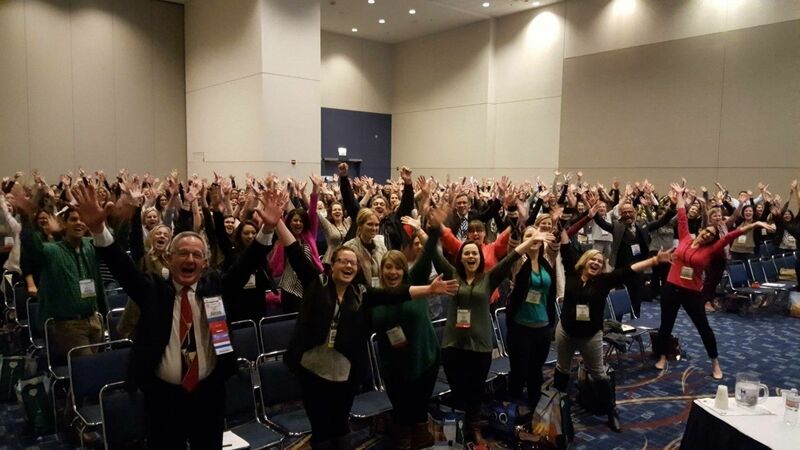 Dr. Thomas Sullivan, past President of the Illinois State Dental Society and former Vice President of the American Dental Association (ADA), was awarded the George H. Cushing Award for his contribution to public awareness and importance of oral health. Dr. Flava Lamberghini was awarded the CDS Foundation Vision Award in recognition of philanthropy by providing preventive dental care to students in more than 60 Chicago public schools. An award was also provided to third-year dental student, John Tran, who wrote an interesting essay titled, “Thinking about Another Sweet Gulp? Think Again”, that reviewed the risk that sugar and sweetened drinks have on your teeth. You can read the full essay here. Continuing education drew large crowds with over 200 courses offered on a wide variety of topics ranging from clinical topics like 3D imaging, prosthodontics, implants and CPR, to business development topics such as communication and technology. Again, an overall theme of leadership could be seen throughout many of the courses with topics covering Practical Leadership, Strategic Leadership, Visionary Leadership, Business Decision-Making and Leadership, and of course the Leadership 101 course. A number of networking events were held as a means to gather individuals from similar locations and experience. Some well attended events included the New Dentist Reception held for dentists who have practiced for ten or fewer years and a special breakfast reception for the Wisconsin residents. There was also a special buffet luncheon provided for dental students and dentists alike to learn about the Chicago Dental Society’s Mentor Program and there was even a Country Night which offered the musical tunes of a country cover band. In staying with the yearly theme of ‘leadership’, fashion leaders were highlighted at the Fashion Show and Luncheon. The show wrapped up on Saturday with the ever-special President’s Dinner Dance which featured the Chicago Dental Society President Phillip Fijal and the music of the High Society Orchestra. It’s no secret that e-Prescribing has its benefits. Many professionals agree that eRx greatly improves patient safety and reduces overall health care costs by lowering potential medication errors. Additionally, the ability to electronically prescribe controlled substances (also known as EPCS) greatly reduces fraud while preventing patients from being able to “doctor shop”, or receive multiple prescriptions for the same drug via different prescribers. According to Paul Uhrig, Chief Legal Officer for Surescripts, between 3-9% of all opioid abusers use or have used forged prescriptions. With e-Prescribing, the ability to forge prescriptions is completely taken off the table. On top of that, with the addition of Prescription Drug Monitoring Programs (PDMPs) now implemented in all 50 states, prescribers are able to see all pertinent data that has been pulled from the patient’s electronic health record (EHR). This inevitably helps them make more knowledgeable and appropriate choices when prescribing scheduled medications. With so many known benefits of e-Prescribing, and also because of the nationwide opioid epidemic, many states are getting on board the mandate train, which requires that by law, all prescribers must submit prescriptions electronically. There are currently 3 states which have this e-Prescribing mandate: New York, Maine, and Minnesota and many more that already have legislation in the works for an e-Prescribing mandate. We can see that there was a pretty steep jump in 2011, which is when the mandate went into effect. However, the climb from 2011-2013 was slow yet steady. 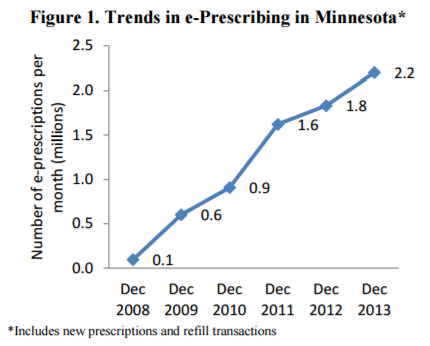 The Minnesota Department of Health reiterates that there is currently no enforcement mechanism for not complying with the state’s e-Prescribing mandate. MDH does stress the benefits of e-Prescribing to providers as well as threaten with the possible implications of non-compliance from a patient/healthcare perspective. When the mandate was first released, it was implied that there would most likely be future establishment of enforcement methods. However, as of today, there is still no means of forcing providers to comply with the mandate. Because there are no negative repercussions to providers who do not comply, there are many that choose to still utilize paper prescriptions, especially when it comes to sending controlled substances. According to Surescripts, only 3.5% of doctors in Minnesota were using EPCS in 2016. Additionally, the Minnesota Department of Health showed that drug overdose deaths increased 11%, reporting 516 deaths in 2014 to 572 deaths in 2015. These statistics could very well be unrelated to each other, but it still goes to show that that there is work to be done in Minnesota in regards to the opioid epidemic and electronic prescribing. Even though there is proof that it has its benefits, the challenges that come with implementing e-Prescribing can’t be ignored. Understandably, and rightfully so, prescribers have long expressed that their main focus is on their patients and they generally don’t enjoy being dictated by the government if it means being intrusive in helping their patients. This is especially true when it involves new systems that require onboarding and training time, but it can also be an even bigger challenge for prescribers to find the funds to support the implementation of an e-Prescribing system. With these two large considerations in mind, it’s important that future states not only allow healthcare software companies and associated practices ample time to get their e-Prescribing systems up and running, but also offer some form of incentive or enforcement mechanism to keep prescribers in compliance. However, it’s even more important to remind prescribers that the perceived difficulty during the transition time in the beginning is minimal in comparison to how many benefits will transpire in the future. It’s all about taking that first step. It’s estimated that 100 million Americans struggle with chronic pain, yet most are facing a barrage of obstacles while seeking treatment in order to appropriately manage their pain. With the current opioid epidemic sweeping the nation, people want the number of opioid overdoses to fall, but patients don’t want to be made to suffer, and rightfully so. Has the opioid crisis and its implications prevented legitimate chronic pain sufferers from receiving the treatment and associated services they require to productively function in life? As of recently, more than half of prescribers across America are cutting back on opioid prescriptions, and nearly 1 in 10 have stopped prescribing them altogether. They’re ultimately struggling to find a balance about the merits of using opioids to treat pain, especially in the absence of effective and affordable alternatives. With this reality, it appears that the chronic pain population is facing an uphill battle, especially with the justified fear of prescribers pulling back in such a chaotic way that could be harmful to patients. Opioid drugs affect the body in an extreme manner and are not something a patient should stop abruptly or without appropriate medical oversight. It needs to be a monitored process, especially for those who have been on long term treatment. In fairness to the other component of the chronic pain equation, are those patients that truly suffer from opioid addiction. 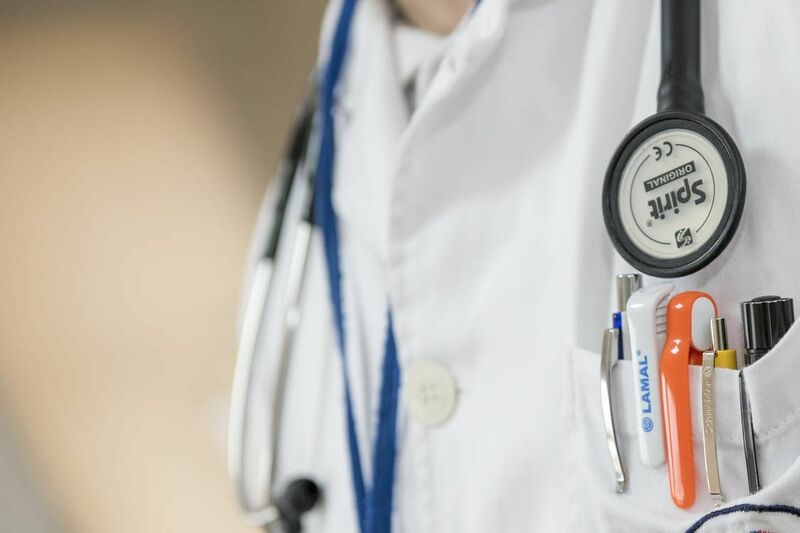 As noted in a recent Boston Globe article, physicians face myriad pressure as they struggle to treat addiction and chronic pain, two conditions in which most physicians receive little training and often intertwine with one another. Addiction is a complex disease that requires multifaceted solutions and a team approach. No single physician can provide the breadth of treatment required, nor are the necessary payment mechanisms in place to facilitate the “entirety” approach to treating addiction. That and the lack of physician education in addiction further fuels the long battle chronic pain patients are currently experiencing. Without proper knowledge of the physician, is every chronic pain patient now being viewed as an addict? Is that a realistic prejudice they’re being faced with? In many cases, physicians are walking away completely – they don’t even want to see patients in chronic pain, but others urge to partner with patients and stay with them to help find other options. Such alternatives include The Spaulding Program, a program aimed at developing and teaching coping mechanisms, strategies, and “tricks” to manage and get through the pain. Although the program experiences great success, it had to limit its operation 20 years ago due to insurers ceasing payment for their comprehensive form of care. It’s hopeful that the concern over opioids will lead to improved care, by deepening the doctor-patient relationship and opening the door for conversation to talk about managing pain, thus pointing to the desperate need for alternative treatments. For now, what is a chronic pain sufferer to do? If you are a prescriber in the state of New York, you probably know by now that electronic prescribing (e-Prescribing) of both controlled and non-controlled substances has been mandatory since March 27, 2016. As part of this mandate, all prescribers who will be sending controlled substances are required to register their e-Prescribing software as well as report to the controlled drug registry each time a controlled medication is prescribed or dispensed. In order for users to access the registry, the prescriber must first create an online Health Commerce System (HCS) account. Once the HCS account is active, the prescriber can then access ROPES to register their certified electronic prescribing software application for controlled substances. The good news is that applying for an HCS account is as easy as filling out an online form and having a New York State driver’s license (or photo ID). In addition to requiring an account in the Health Commerce System (HCS), if prescribers intend to order controlled substances electronically, they will also need to register their certified electronic prescribing application software with the New York State Department of Health, Bureau of Narcotic Enforcement (BNE). This is done by filling out a ROPES form online through an HCS account. What is a ROPES form? A ROPES form is a new online application that allows the practitioner/organization to renew their registration for the Official Prescription Program and register their certified electronic prescribing software application for controlled substances. ROPES stands for Registration for Official Prescriptions and E-prescribing Systems. Only the prescriber can access the ROPES application. Prescriber must NOT be a registered Physician Assistant (PA) – PA’s must continue to submit the OPP registration form (DOH-4329) along with the PA Authorization Form (DOH-5054) to renew their OPP registration. The ROPES form requires that the prescriber identifies the third party audit certifying organization and the date of the third party audit. Keep in mind that it is the software vendor that must be certified not the prescriber. The software vendor will supply all necessary information about this certification to the prescriber. The ROPES form must be renewed every two (2) years in order to remain valid. The prescriber must renew their OPP registration first via the one step process prior to renewing their current ROPES registration. Any questions regarding the ROPES form or the process can be directed to the BNE at narcotic@health.state.ny.us or by calling 1-866-811-7957. For prescribers utilizing DoseSpot who have questions regarding the ROPES required third party audit information, please contact DoseSpot support at 888-847-6814. Now that you’re well-versed in the world of e-Prescribing, let’s go one step further and prepare you for your own health care software’s e-Prescribing journey. Need more information? Feel free to schedule a meeting with us! The role of oral health and its contribution to the population’s overall health, as well as the nation’s bottom line, has been in frequent discussions lately. With advocated access to dental care by a number of entities, governments and foundations, patients now understand that visiting their dentist is much more than receiving that fresh, clean feeling. It’s improving their quality of life. However, with the ever increasing numbers of dentists and patients, along with Dental Support Organizations (DSOs) gaining significant prominence in the industry, the practice of dentistry is becoming more and more competitive. Patients now have more options to choose from when selecting their dentist and several factors weigh on their decision. 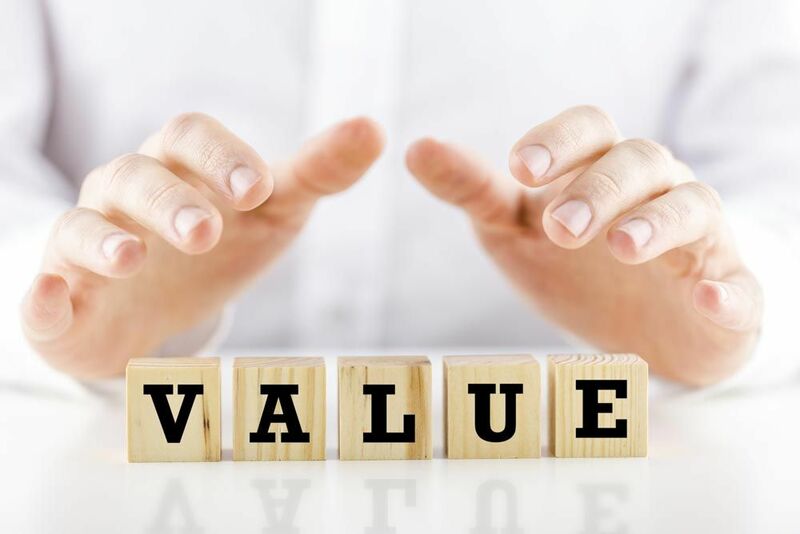 To align with this market shift, what is one component that the dental community can implement with ease to enhance their competitive advantage and attract and retain more patients? Or better yet, increase patient satisfaction, efficiency, and revenue, while simultaneously decreasing risks for dentists? During a patient and dentist encounter, e-Prescribing enables dentists to verify a patient’s medication history and view up to two years of prescribed medications. This level of transparency allows for smarter treatment decisions and recognition of a patient who may be “doctor shopping” for controlled substances. From a safety perspective, any drug-allergy or drug-drug interactions are flagged instantaneously while the clinical judgement of the dentist is still maintained if he/she elects to prescribe the medication. Dental-specific information such as a medication’s particular dental use, effects on dental treatment, and effects on bleeding are all seamlessly provided at point of care as well. With e-Prescribing, the totality of time to write a prescription for the patient is reduced from the traditional manual paper method, resulting in more time for direct interaction with the patient. The intrinsic productivity of e-Prescribing and its resulting patient interaction time may lead to incremental revenue as the opportunity is presented to discuss other dental issues and procedures. Assessing e-Prescribing from a quality perspective, patient outcomes are significantly more accurate, consistent with quality initiates practiced in industry. It is getting it right the first time. As healthcare in general shifts to more measured and predictable patient outcomes, e-Prescribing goes a long way in addressing this new dynamic as it assists in providing a full panoramic view of a patient’s health. Another benefit of e-Prescribing is risk reduction, especially when it comes to prescribing controlled substances. When controlled substances are electronically prescribed, the patient cannot lose the prescription or alter the dispense quantity or the medication itself. The prescription will be sent directly to the pharmacy with no chance of intermediaries touching it. In turn, this also banishes the need for paper prescription pads, thus eliminating the risk and liability involved with stolen prescription pads. Perhaps the most significant aspect of the e-Prescribing equation is the increase in patient satisfaction. The extra time spent on dropping off and waiting for a prescription to be filled at the pharmacy is essentially eliminated as e-Prescribing diminishes the middle man and creates a seamless transaction for the patient. Due to improved efficiencies and increased patient satisfaction with e-Prescribing, a snowball effect is created relative to rising revenue. Not only will an increase in patient volume and retention occur, but administrative duties for office staff will lessen. Thanks to the more cost-effective vehicle of e-Prescribing, there will be no staff time required to manage the ordering and stocking of costly paper prescription pads and tamper-proof printing paper for controlled substances. Overall, e-Prescribing is one tool in the dentist’s arsenal to meet the challenges of practicing dentistry today, which will allow for a more patient-centric strategy to be implemented, resulting in happier patients and dentists! As we discussed in our previous post, e-Prescribing is the electronic transmission of a prescription from the prescriber’s device to the patient’s pharmacy of choice, therefore replacing the traditional paper prescription. How does e-Prescribing work for end users? While e-Prescribing software comes in many shapes and sizes, e-Prescribing integration is directly integrated into healthcare software such as an Electronic Health Record / Electronic Medical Record, telehealth application, or dental practice management solution. By way of integrating e-Prescribing into a healthcare software, the e-Prescribing platform becomes an integral component of a healthcare software’s product offering. e-Prescribing integration seamlessly allows a prescriber to log into their existing healthcare software, select a patient, then search for, enter and send an e-Prescription for the patient in a few short steps. The process saves the prescriber time while improving patient outcomes. What are the benefits of a custom, white labeled solution? When an e-Prescribing solution is “white labeled”, this means the e-Prescribing user interface mirrors the look and feel of the healthcare software in which the e-Prescribing solution has been embedded. Colors, fonts, font sizes, layout – you name it – can all be completely customized to provide a seamless experience for end users. Furthermore, mobile optimization has become a major trend as more healthcare software solutions are operating in the cloud and prescribers are accessing applications from multiple devices and multiple locations. This is why it’s important that the e-Prescribing functionality performs well in different environments, but most importantly, on smaller screens. Responsive design is critical in ensuring that any e-Prescribing solution is accessible on every device. It’s the best one size fits all solution as this type of design allows the webpage to expand and contract in order to perfectly fit within any screen in both the traditional office and mobile settings. Ultimately, responsive design cuts down on development time as the e-Prescribing user interface does not need to be adjusted manually for each type of device (i.e. mobile, tablet, laptop, or desktop). What does it take to cross the finish line and go live? To go live with e-Prescribing and be able to send prescriptions electronically, all healthcare software companies must go through a Surescripts™ e-Prescribing integration review. Surescripts operates the largest health information network that connects the diverse and expansive community of care partners nationwide, including pharmacies, providers, benefit managers, and health information exchanges. Medication History: View aggregated medication history data from pharmacies and pharmacy benefit managers (PBMs) upon receipt of patient consent. Prescription Benefit: Surescripts’ Prescription Benefit service puts eligibility, benefits and formulary information at a prescriber’s fingertips at the time of prescribing. This enables prescribers to select medications that are on formulary and are covered by the patient’s drug benefit. Electronic Prescribing of Controlled Substances (EPCS): Product has achieved Surescripts EPCS certification and has provided third-party audit documentation as required by the DEA. 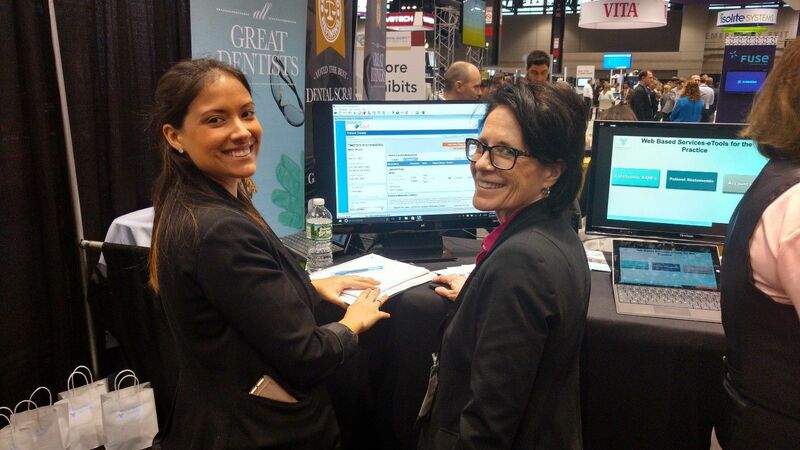 Upon completion, healthcare software companies will be listed on the Surescripts website. Healthcare software companies also looking for the ability to Electronically Prescribe Controlled Substances (EPCS) will need to go through a similar testing process with an approved e-Prescribing of Controlled Substances auditor such as the Drummond Group Inc., one of the first DEA approved certification bodies for EPCS. Learn about DoseSpot’s e-Prescribing integration process by downloading our latest Integration Tool Kit.